April is “National Stress Awareness Month.” There’s no secret that most Americans are stressed at their jobs. Nevertheless, financial dilemmas like making money and saving on company costs often cause employers to overlook the need to reduce employee workplace stress. A global health service company, Cigna, released a survey that found that not only are Americans more stressed, but they are spending much less time with their families. This extra stress and lack of connection with family is detrimental to maintaining a positive workplace. Over the years, experts have lectured on the damage that unattended workplace stress does to society. However, the problem is just as serious as ever. A 2019 “Colonial Life” survey found more than 20 percent of workers spend over five hours a week worrying about stressors in their life. Subsequently, the study reported that their work also is affected. Another 50 percent of employees claim they lose about one to five hours of work each week due to stress. So, why can’t Americans walk away from a stressful lifestyle? Life doesn’t stop. Problems happen. However, this does not take employers off the hook. Building a positive and supportive, employee forward work culture promotes a less stressful workplace. This does not mean that productivity slacks off. It is just the opposite. Relieving anxiety fuels productivity and keeps quality employees engaged. No one wants to deal with workplace stress. However, there’s more than one way to promote positive worker efficacy. The solution lies when executives and employees come together to build positive group norms of behavior that support trustworthy, interdependent, genuine, empathetic, risk resolving and successful outcomes. Workplace Stress: Who is stressed out and why should companies care? Employees entering the workforce now are already stressed out. School loans and financial problems keep this new age group up at night. Those that are knee deep in their career are also full of stress. Many are aging Millennials. The Great Recession hit this group the hardest. School loan interest along with family obligations confronts a generation of employees who are having a hard time digging out of educational debt. However, it’s not only Millennials who are hurting. Gen X employees with children and single mothers in particular, feel more stress “by far”. Of all the age groups in the workforce now, Gen X are the most disengaged. They have missed management advancement opportunities and have been swamped by the generations behind them. Women in general also tend to feel more stressed at work. While the gender pay gap has decreased, according to Pew Research Center, the fact that it lingers means fair pay for equal work is a constant stressor for women in the workplace. Because of lower wages, women who are approaching retirement are also stressed. Their retirement resources fall short, in many instances, so women are working into their 70’s. They can’t afford not to. With most of the current workforce fitting into one of those categories — X, Y, Z and Baby Boomers — means employers face serious decisions. When employees are stressed financially and the workplace feels hostile or unkind, productivity and loyalty suffer. Workplace stress is like the elephant in the room. Instead of ignoring it or working around it, building an employee forward work culture with strong behavior norms that support a kind and supportive work culture is a good strategy. 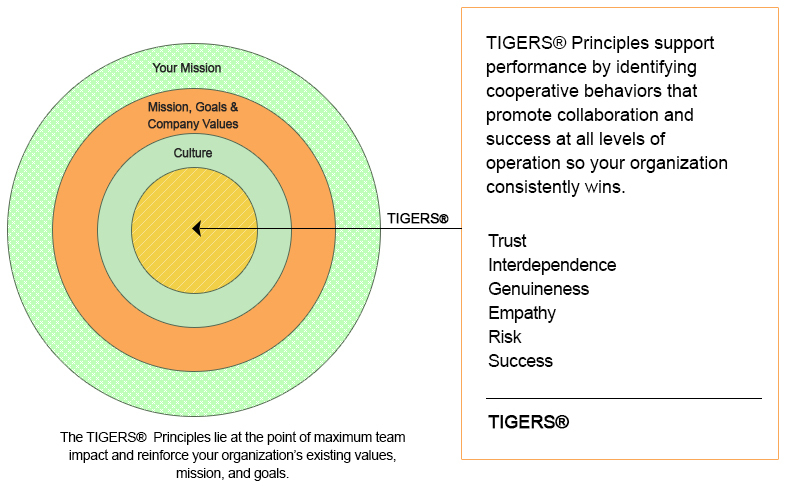 When executives focus on promoting visible behaviors that support trust, interdependence, genuineness, empathy, risk and success (TIGERS®), the results are incredibly beneficial to business in the long-term. These behaviors are measurable both in the bottom line as cost savings and productivity improvements. It is good business to promote a kind and supportive workforce. You can bank on it. Why employers should relieve critical workplace stress. So, how do employers reduce workplace stress? While employers can’t control the personal problems employees face, they can improve how the workplace functions. It starts with building a sense of belonging, hospitality and respect. In some cases, this means adding resources such as an on-site organizational psychologist. In other situations, having a quiet room where employees can go to manage stressful feelings is also helpful. On the other hand, simply altering policies and behaviors can make a big difference. This option often comes without costing anything. For example, being more accommodating and transparent when it comes to employee schedules and remote work builds workplace stress dividends. In addition, discovering what employees need to help manage the stress in their lives can be woven into incentives and recognition programs. For example, one company recently created a bonus program based on cost savings that gave employees the option to pay down student debt or other financial liabilities. The incentive program paid for itself. Perks that help employers reduce workplace stress. Sometimes, reducing workplace stress doesn’t mean you have to improve workplace culture. If you already have a supportive work culture, simply take it a step further. For example, offering laundry pick up and return at your business costs nothing. Laundry companies want your business and will work your company into a pick up and drop off schedule at no cost to the company. Employees pay for the service as if they were dropping off clothing at the cleaners themselves. The benefit to employees who take advantage of programs like these is that it saves valuable time during their days off so there is one less chore to do. Another example is offering weekly massage at the workplace. Again, many massage therapists want the business and will come to your company to offer massage. When employees hit their productivity goals, one incentive is to give them a 50% voucher for a massage. When employers connect with their employees, they know what to provide. Any small service that frees an employee to enjoy themselves on their days off rather than running chores is helpful for stress reduction. These activities promote teamwork and loyalty. Another way to reduce workplace stress is by providing healthy snacks for employees during their breaks. Let’s face it. Not everyone brings food to work. Sometimes people forget breakfast in the rush to get to work. By offering your employees some much needed brain food, they do that much better at their job. Examples are fruit bowls, organic protein power bars and veggie plates. For example, one company featured in the book TIGERS Among Us – Winning Business Team Cultures and Why They Thrive (Three Creeks, 2010) stocks the break room fridge with soup, sandwich and salad options from Whole Foods. Employees who participate in making group lunch with one another order what they want the week before. Then Whole Foods delivers. The practice builds work community relationships, keeps employees healthy and saves the company money in the long run due to fewer sick days off and afternoon productivity. What can employees do to reduce their own workplace stress? In fact, downloadable mindfulness apps facilitate a more calm and positive frame of mind. According to studies, people who use mindfulness apps experience a minimum 14 percent improvement in focus and a 32 percent decrease in stress after just 30 days of using the app. When it comes to ample sleep, the World Sleep Society found that a whopping 46 percent of people aren’t getting the sleep they need. The result is missed work days or performing poor work assignments. When training is available, more employees are ready to take on workplace stress. Employee training that covers hypothetical problems that employees practice solving results in fewer problems should those situations arise. Training programs that focus on communication skills, problem-solving and decision-making often relieve pressure at home, too. For example, anyone who is working in manufacturing benefits from lean six sigma training. Employees and managers who participate in annual empathy training programs who are taught skills in empathetic listening, asking powerful questions and resolving conflict from a collaborative perspective frequently unwind problems at home and at work. Education, solid training and providing proper resources for employees to succeed saves time and reduces workplace stress. Working with a mentor or coach also helps. When employees perform their work the right way, it builds confidence and reduces stress. Everyone needs to be shown the ropes. When employees are insecure about their work direction, stress is one of many negative outcomes. Not only should employers train workers to search for solutions to uncommon problems, a team with specific roles also helps. If no one knows what their job role is, then getting a project done efficiently frequently fails. It is important to teach employees to identify risks and prioritize what needs to be tackled first. Why leaders should care about their team’s workplace stress. When a team is strong and cared for, the entire company prospers. Quality employees respond well when workplace stress is reduced. Therefore, it is important that employees are free to ask questions and offer solutions to problems. It gives them a greater sense of control over their work lives. A leader should always have realistic strategies for implementing their businesses vision. A big project can obviously be very stressful. Taking the time to plan with employee input makes execution easier. Employees are more committed and accountable for outcomes. If it’s hard to find an answer to a compelling problem, take a break outside and practice mindfulness, writes Psychology Today. Other recommendations include sleeping longer during weekends, drinking enough water and eating right. If employees take care of themselves, they can reduce their workplace stress. Losing employees to workplace stress increases stress for everyone else. Other employees have to pick up slack, which can turn stressful fast. Your bottom line due to turnover also suffers. Therefore, thinking through cost effective ways to keep your employees healthy while offering perks that reduce their chores on days off is worth your time to consider. When executives also fail to take care of themselves, it is easy to inflict their stress on others. Reducing workplace stress depends on worker health too. When there is a commitment to behave in ways that improve trust, interdependence, genuineness, empathy and risk resolution and success in the workplace, the workplace becomes kinder, psychologically safer and you find employees cooperating with one another more. This culminates in improved business success. Who doesn’t like a win-win? 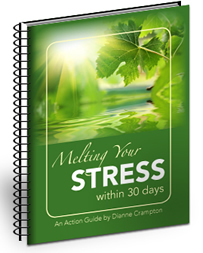 Care to dig deeper into this conversation about workplace stress?